Hello again! 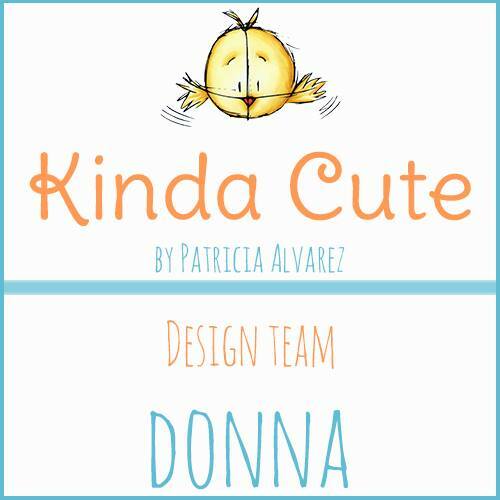 Just wanted to share my new Design Team card for Kinda Cute by Patricia Alvarez. 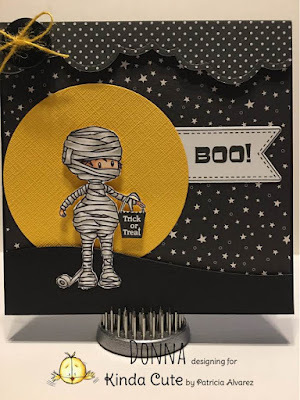 This little mummy is so cute! You can find this cute digital image I used HERE. I did add the little trick or treat bag he's holding from another stamp set by Darcie that I had in my stash.